The other night Yuki and I cooked together. 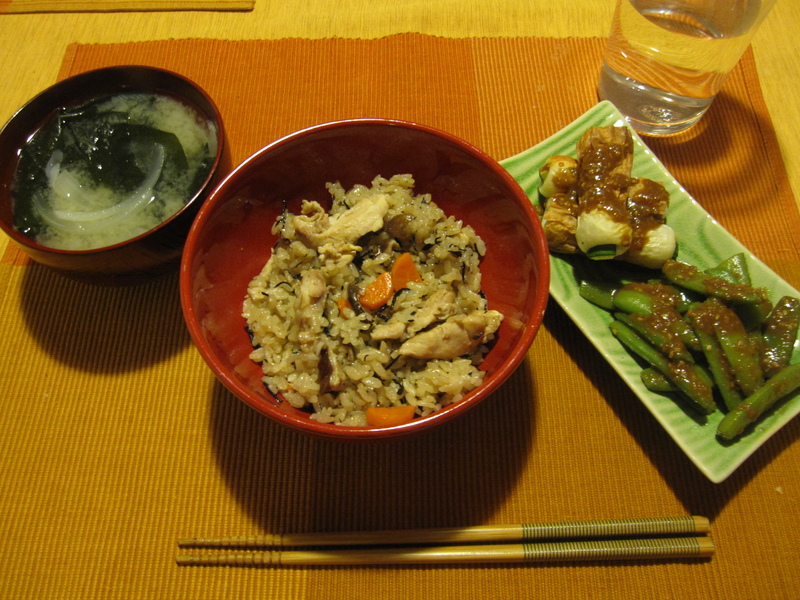 We made one of my favorites, chicken hijiki rice, along with some vegetables that we needed to use up. Making the rice is easy as can be. 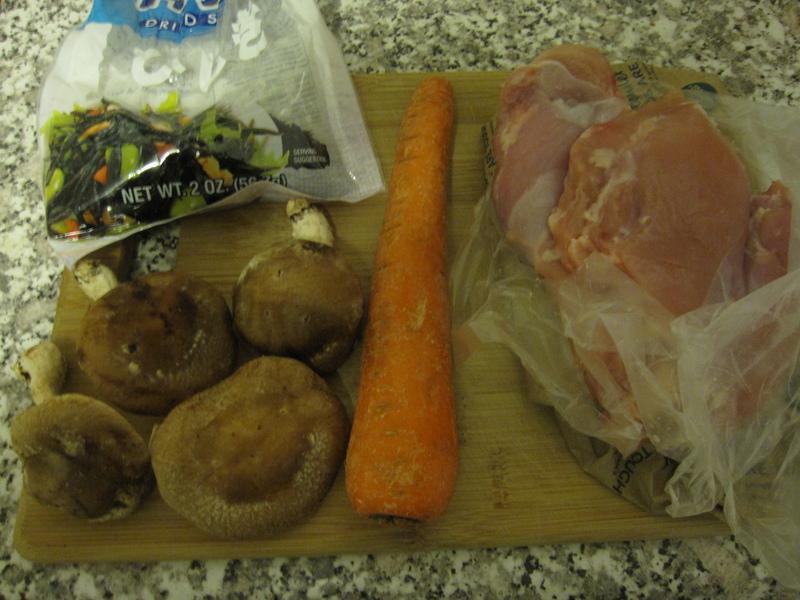 We used 1.5 tablespoons of dried hijiki seaweed, 4 shiitake sliced, 1 carrot sliced in half moons, and 1/2 pound of skinless chicken thighs. While I rinsed off 2 cups of rice and cut up the vegetables Yuki cut up the chicken and quickly sauteed it in sesame oil. After filling the rice cooker with the proper amount of water for 2 cups of rice I put the hijiki in and let it sit for about 15 minutes. Then we tossed everything else in, turned on the cooker, and let it go. I made a sesame dressing for some pea pods that were in our fridge. 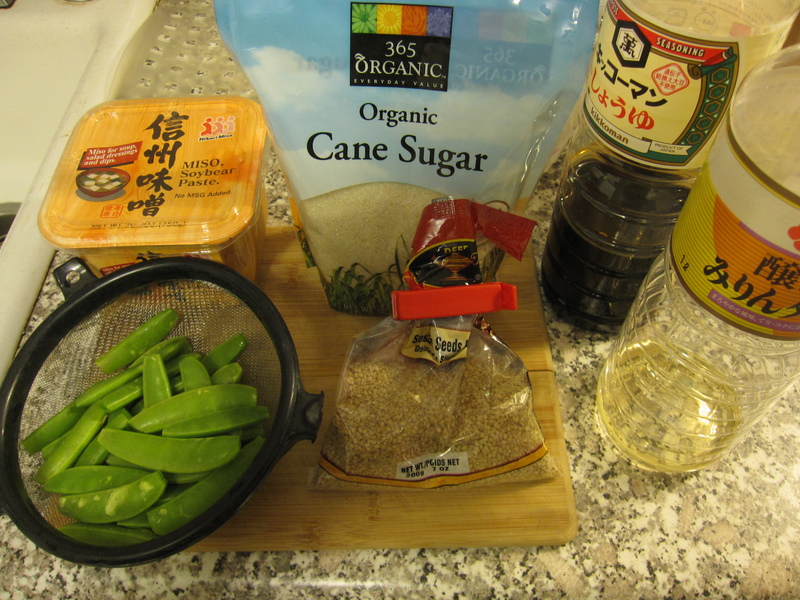 I used 1 tablespoon of miso paste, a pinch of sugar, 1 tablespoon of sesame seeds, 1 tablespoon of soy sauce, and 1/2 tablespoon of mirin. I toasted the sesame seeds in a dry skillet for a few minutes until they turned a golden brown and started to give off their fragrance. 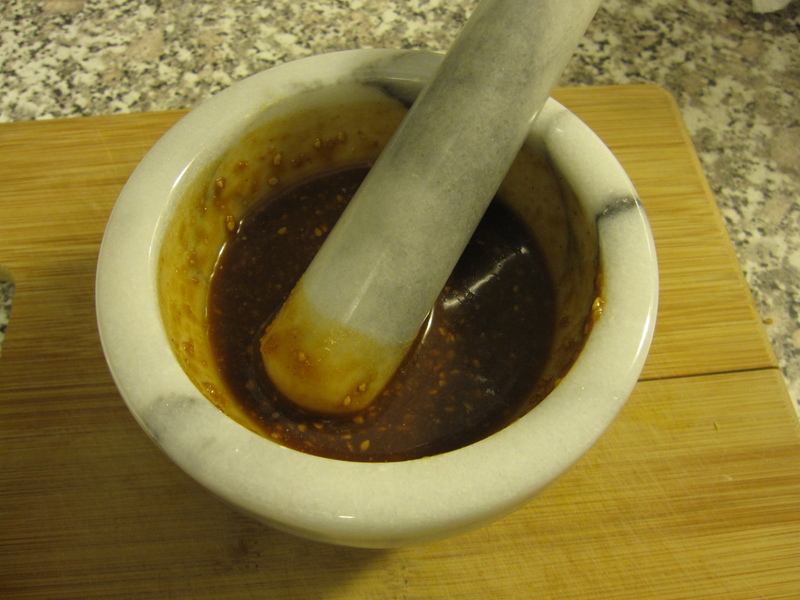 Then I ground them with my pestle and mortar. I added the rest of the ingredients, mixed them all together, and set it aside. I simply steamed the pea pods for about 4 minutes when the rice was ready. Then I tossed them with the sesame dressing. We also had some chikuwa and 1/2 a zucchini to use up. Chikuwa are tubular, hollow fish cakes that have been baked or grilled. 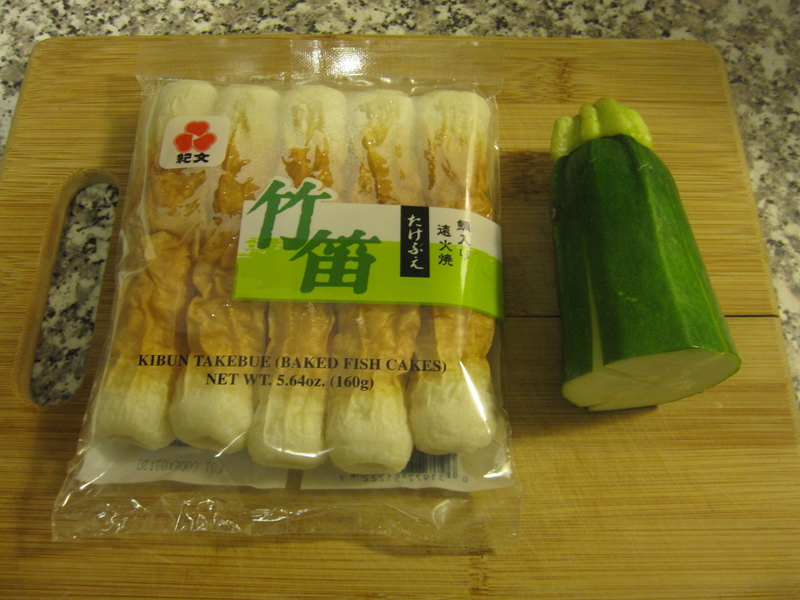 I sliced the zucchini into long sticks and stuffed the chikuwa with them. Once the rice was ready and the pea pods steaming I just put them in the toaster oven and toasted them for about 6 minutes. I drizzled them with the sesame dressing as well. While I was doing that Yuki made some miso soup. I didn’t watch her make it, but she put in it sliced onion and wakame. Uh, yeah, that’s what I meant by this post.